If you want to quickly find a specific topic, simply use the “search function” on the left or search with Ctrl + F through the content of this page in your browser. 01. What is DIGITUS Plug&View? 02. What are the differences between the different camera models? Click here to view the comparison chart of the DIGITUS® Plug&View cameras. 03. I need a larger angle of detection (wide angle). Can I change the lens of my P&V camera? 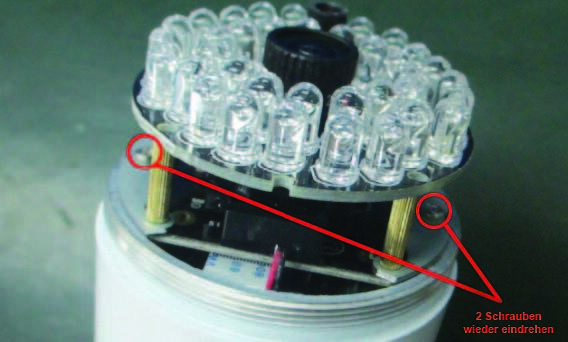 For safety reasons, the lenses of the Plug&View cameras are permanently installed and cannot be removed. We offer different camera models for different usage scenarios. The model with the largest angle is the OptiDome. You could also opt for the motorized OptiArc with pan-tilt-zoom function and for the outdoor area, the OptiDome Pro. 05. Which accessories are available for the cameras? We listed a selection of accessories for you, with which you can supplement your DIGITUS® Plug & View camera perfectly. 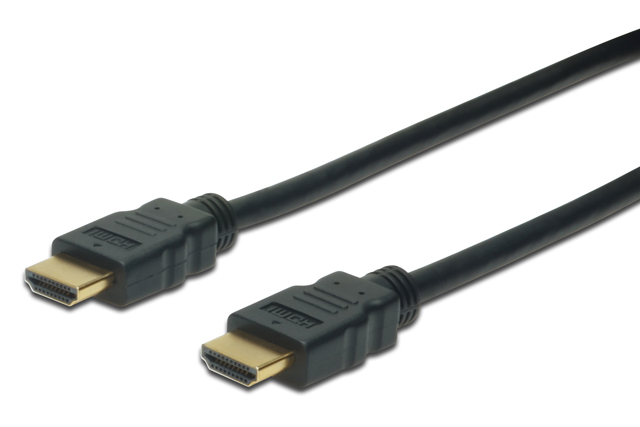 Starting with the wireless lan repeater, which allows you to make your wireless home even faster, about Fast and Gigabit Ethernet switches, that allow you to connect multiple network devices in the home network, to (encrypted) disk enclosures as well as patch and HDMI cables (picture), with which your fast link quality for your network is secure. How to register my DIGITUS® Plug&View camera? 01. How can I register my camera? First create your user account on http://login.mydigitus.net/. Register your camera directly on http://login.mydigitus.net/. Download the DIGITUS® Plug&View app and scan the individual QR-code from the instruction manual of your camera. 02. I registered with a wrong e-mail address. How can I change it? That’s not a problem. Please create a new user account with the correct e-mail address. Please inform us via this contact form, so that the old user account can be disabled. If you had already added cameras under the wrong e-mail address, you must first remove them from the user account. 03. I registered with my e-mail address directly on plug-view.com and would now like to log on with my Google (Drive) address – is that possible? Delete all enabled cameras from your user account. Create a new user account with your Google Mail address. Inform us via contact form. Register the cameras in your new user account. All cameras now run under your Google Mail address. 04. I forgot my password. Use the “Forgot Password” function on the login page “login.mydigitus.net”. A new password will be sent to you by e-mail. Note: Your password should always consist of more than 6 letters. We recommend that you also use case sensitive letters, as well as numbers. 05. My activation code is not accepted. Please try again. Check the spelling digit by digit. Alternatively, please use the DIGITUS® Plug&View app for the scanning of the QR-codes and the activation of the camera. Unfortunately, you cannot activate your camera using other popular QR- Code-Readers on your tablet or smartphone. 06. My MAC-code does not work – how do I get a new one? That is unfortunate. Please verify that the MAC code on the back of the Quick Start Guide corresponds to the Code on the label on the camera. Should you still not be able to use the code, you have the option to reset it for the installation. In this case, please contact us via contact form. 07. My MAC-code does not work – can third-parties now access the images on camera? The camera can only be accessed via the user account on which the camera is registered. The installation of the camera in your Plug&View account requires the MAC-code. Access to your camera image is only possible after successful installation. Please verify that the MAC code on the back of the Quick Start Guide corresponds to the Code on the label on the camera. Should you still not be able to use the code, you have the option to reset it for the installation. In this case, please contact us via contact form for support cases. 08. I want to delete my registered camera from my account. What do I need to in order to be able to activate it again at another location? Log into your camera administration onhttp://login.mydigitus.net. First click on “Account” and then at the top right on “Devices”. Now all of the cameras registered in your network will be displayed. Next to each camera you will see a “X” (delete). Clicking on this will delete the camera from your user account. By doing this, you ensure that the camera can no longer be accessed via your camera administration and you can safely share it with others. How to install my DIGITUS Plug&View camera? 01. How is the installation done on a PC? Log in on http://login.mydigitus.net/. After the first login you will be automatically directed to the input page. Here, you can enter the “MAC address” and the “Activation Code” for the camera. You can find this information at the end of the User Manual, which ships with the camera. You can also always access the input page at a later time from the Home page. Just log in, go to “setting” and “plus” in the upper-left corner. 02. How is the installation of the camera done via smartphone/tablet? or in the Quick Start Guide for your camera. 03. The scan function of the camera does not detect my camera. Please check whether the network connection has been established. Check that the cable is properly connected. As a second step, you can reboot the camera. Simply remove the power cable from the camera, wait at least 7 seconds, then plug it back in. 04. When I want to access the settings of the camera, I am prompted to enter “Username” and “Password”. What should I enter? Please do not enter your usual user data at this point. Instead, please type “admin” into the field for “Username” and into the field for “Password” also type “admin”. 05. Can I assign a fixed IP-address to the camera in a wired network (LAN)? Yes, for the wired connection you can assign a fixed IP-address to the camera. You can find the corresponding settings in the camera configuration under “Settings” – “Network”. 06. Do I need to activate the DHCP-server on my router? Yes, please activate the DHCP-server on your router. 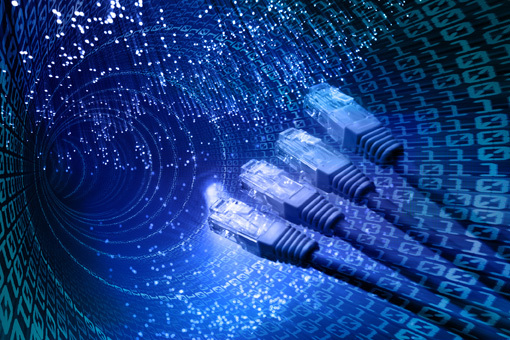 On most routers the Dynamic Host Configuration Protocol (DHCP) is already automatically activated. Should this not be the case, please consult the User Manual of your router. 07. Which VLC media player version should I install? With the installation of the VLC media player, the plug-in for Firefox and Chrome is also installed. It allows you, for example, to view the live images in your camera administration on mydigitus.net and is required for the operation of the Plug&View cameras. 08. After the installation of the VLC media player for Firefox or Chrome I get alerts from my Windows Firewall. What do I do now? The security settings of the Firewall of your Windows PC may be preventing the VLC media player on Firefox or Chrome to access the Internet after the installation. If you receive this alert, please click on “Allow access”. The VLC media player plug-in for Firefox or Chrome allows you, for example, to view the live images in your camera administration on mydigitus.net and is required for the operation of the Plug&View cameras. 09. After the Java installation I get alerts from my Windows Firewall. What do I do now? The security settings of the Firewall of your Windows-based PC may be preventing Java from accessing the Internet. If you receive this alert, please click on “Allow access”. The Java Web application allows you, for example, to view the live images in your camera administration on mydigitus.net and is required for the operation of the Plug&View cameras. 10. After the installation of the VLC media player for Firefox or Chrome I get alerts from my Windows Firewall. What do I do now? 11. After the installation of the OCX plug-ins for Internet Explorer I get alerts from my Windows Firewall. What does this mean? The security settings of the Firewall of your Windows PC may be preventing the so-called “ActiveX Widget RSAV.EXE” for Internet Explorer from accessing the Internet after the installation. If you receive this alert, please click on “Allow access”. The ActiveX widget is a OCX controlling device and allows you, for example, to view the live images in your camera administration on mydigitus.net and is required for the operation of the Plug&View cameras. To open the camera housing please unscrew the front cover of the camera. After that, please remove the 2 screws and pull out the module. Inside the module you will find the card slot for the microSD card. Please insert the microSD card into the card slot. Please slide the module back into the housing and secure it with the 2 screws. Then please close the housing. Please make sure that the rubber ring is straight and not bent or moved. Otherwise, the tightness of the housing can not be guaranteed. At the end the microSD card must be formatted via the web interface of the camera under login.mydigitus.net. To do this please open the menu „SD format“ in the system menu, after you have logged in to the web interface of the camera, and format the card accordingly. 13. What can I do, if my available Wireless LAN network is not displayed in the Plug&View APP after the installation of my DN-16047 (OptiVision Pro) camera? First, please establish a Wireless Lan connection between the camera and your device. After that, open the Plug&View App to start using the camera. Please make also sure the App is not running in the background. How to install the wlan to use the cameras wireless? 01. 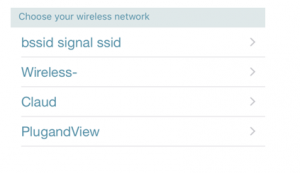 What is the installation procedure via WLAN? 02. Can I assign a fixed IP-address to the camera in the WLAN? Yes, you can assign a fixed IP-address to the camera to connect it to the WLAN. You can find the corresponding settings in the camera configuration under “WLAN”. 03. 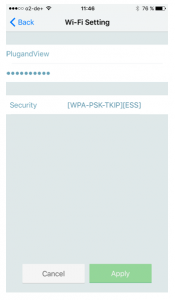 Is it possible to log into another WLAN with the activated camera and still have a picture in my account? Quick Start Guide. After successful registration on the WLAN, you will again have a picture in the Camera Overview in your Plug&View account. 04. The camera does not detect any WLAN-networks in my environment. I am unable to connect via the wired network (LAN). Please verify the visibility of your WLAN-network on your computer. You may have selected to hide the SSID (identifier) on your router. Enable broadcasting of the SSID for the installation of the camera. You can then revert back to the previous setting. 05. After successful connection to my WLAN and disconnecting the network cable, I have no video. Please close the tab or window of your browser and then log in again. You should then see the camera image again. If the image does not return within a few seconds, please check the quality and strength of your wireless network connection. It could be highly utilized by other devices and processes, which may affect the performance of the video. 06. Are there any sources that may interfere with my wireless connection? Starting from Firmware Version 20150713 all Plug&View cameras support Access Point mode in default configuration when no LAN cable is connected. With this feature, the camera can be integrated into existing WiFi networks without any cable connection. Also existing cameras can be integrated by AP mode after factory default. “DN-160xx-nnnnnn” (model name + last 6 digits MAC address) of the camera. 2. Start the DIGITUS Plug&View app (available for Android and iOS) and click on “YES“. 3. Please choose your WiFi network out oft he list of available networks. 4. Enter the password of your WiFi network and click „Apply“. Done! The camera will restart and is then connected to your WiFi network. 01. I need to use the recordings as evidence because of an incident. How do I store the camera recordings? Can the videos be played normally on a PC? This feature is currently only supported with Internet Explorer. Log on to your camera and in the “System” menu select “Show Videos from SD-card”. In the following window, in the calendar, you can select the month/day of the respective recording. To do this, click on the magnifying glass below the calendar. Next, all images of this specific day will be displayed on the list. The filename (20130822T152228) shows the date in the format year, month, day (20130822 = August 22, 2013). Behind it, starting with the “T”, the exact time of the start of the recording is displayed in the format hour, minute, second,e.g. T152228 = 15 hours 22 minutes 28 seconds. Behind the underscore, you can see the time at which the recording was stopped. By clicking on “Download” the recording is downloaded from the SD-card in the camera to your PC and can be played with the Media Player. 02. Which smartphones and tablets can I use to operate DIGITUS® Plug&View cameras? You can operate/manage your cameras from all Android and iOS-smartphones and tablets. All you need is the free DIGITUS® Plug&View app. Download the app from the official Apple App Store or Google Play. For Android, at least version 2.3.6 must be installed on the tablet/smartphone. Tegra 2 CPU devices are not supported. 03. My husband and I would like to see the images from the same camera while at work – is that possible? Yes, that is possible, by sharing your user name and password. Others can then register using the same login (name and password) to log into your Plug&View account and see the camera image at the same time from different PCs or mobile devices. Multiple users can see the same camera image, or access the same camera simultaneously. This function can be useful when all members of a family would like to access the same camera and when, for example, both parents want to access the camera independently of each other from the office to check on things on the home front. For your own and you family’s protection, please make sure you only share your login details with especially trustworthy persons. 04. Can I store my recordings? If you installed a microSD card in your camera, the recordings will be stored on it. In addition, you can also store you recordings either on Google Drive or on an FTP-server. For detailed instructions for activating the different storage methods, refer to the User Manual for your camera. 05. How can I set my camera to only store the video recordings in the event of motion detection? Your camera offers you the possibility to use the “Motion detection alarm”. When you select this mode, recordings that were triggered by motion detection will be stored. 06. How can I save an image on my FTP server every x seconds? This feature is available with the cameras DN-DIGITUS® OptiVision 16027/ DIGITUS® OptiArc DN-16036/DIGITUS® OptiMax DN-16037 & DIGITUS® OptiMax Pro DN-16040. In your user account go to the “Configuration Page”. Under the header “Time” you can select the desired time for the continuous recording to the microSD-card. You can, for example, set it to the normal working hours, from Monday to Friday, from 9:00 A.M. to 6:00 P.M. Hold down the mouse button and drag the mouse to mark the desired time period. The color-highlighted area mean that the recording will be running in this time period. Here you can also determine when and at what time intervals videos and/or images should be recorded (for example, one image every 5 seconds). For more information, please consult the User Manual for your camera. 07. Can I also store my recordings on places other than Google Drive (e.g. own FTP-server or Dropbox)? You can store your captured clips on an FTP-server. In the camera configuration page, please select “Settings” – “Alarm” and then click on “Set FTP”. In the following window you can then add the login information for your FTP-server. Your recordings are then saved automatically on your FTP-server. For more information, refer to the chapter “Set Alarm” in the User Manual for your camera. 08. How do I connect to my FTP-server? If you have an FTP-server, you can also save the images captured by the camera on the FTP-server. In the camera configuration page, please select “Settings” – “Alarm” and then click on “Set FTP”. In the following window you can then add the login information for your FTP-server. Your recordings are then saved automatically on your FTP-server. For more information, refer to the chapter “Set Alarm” in the User Manual for your camera. 09. Can I insert the memory card into the card reader of my PC and watch the videos? You can use the memory card as a standard storage medium and the data stored on it (videos) can be read. Please note that playing the videos may require a suitable media player and Codec. 10. Can I move the Plug&View app from my Android smartphone to the SD-card? Unfortunately, no. The Plug&View app has to be installed in the main memory of the Android devices. 11. How do I format a microSD card? Insert the microSD card into the storage slot of your camera. In the configuration page of the camera please select the menu items “System” – “System” and then “format SD-card”. 12. Can I also use my Plug&View camera as a webcam on my web page? Yes, that is possible. You can embed the camera images as stills or as live-stream. 13. In our region, temperatures drop to – 4 degrees Fahrenheit in the winter. Can I still use the outdoor-camera in these conditions? We guarantee trouble-free functioning up to 14° Fahrenheit. Customers experience shows, however, that the tolerance levels of the cameras does allow usage at lower temperatures. The DIGITUS® Plug&View OptiMax Pro (DN-16040) was put through a 14 day endurance test and we also successfully tested the operating temperatures under very tough conditions: they reach all the way from -4 to +140 degrees F, including cold-start booting and long-term test! This way, you can use the Wireless Outdoor Plug&View IP-camera with the IP66-casing in even more extreme conditions! 14. Should a minimum distance be observed to the object, which I want to monitor? The minimum distance to an object that is to be monitored, should be at least 30 centimeters. 15. Can I use the VLC media player with Internet Explorer? For the operation of the Plug&View cameras, the installation of the ActiveX Widget RSAV.exe is done in Internet Explorer. The VLC media player plug-in is required only for Firefox and Chrome. The RSAV.exe is provided by Internet Explorer when it is connecting to the camera. 16. The message light on my camera always changes from green to yellow. Please check your Internet connection. If it’s not stable or not fast enough, the camera can lose the connection. 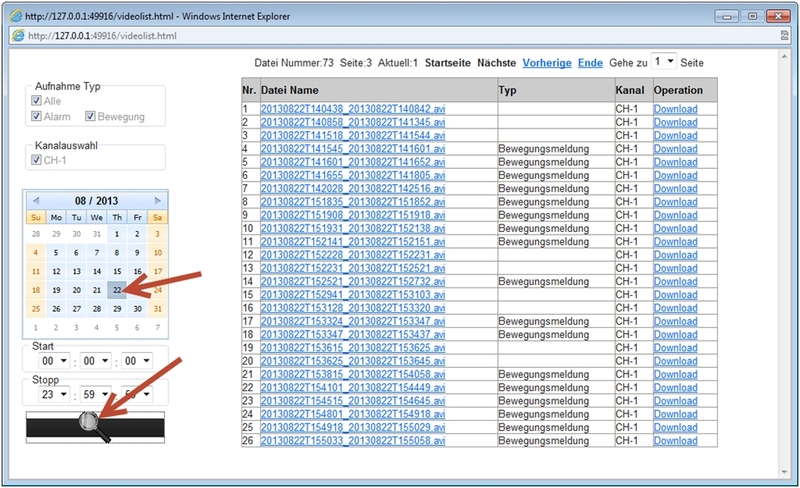 Also check how many devices are active in your WLAN-network. If your network is heavily used by many devices, there may be fluctuations in the transmission of the video signal. 17. I get a “buffer timeout” error when viewing the video image on my smartphone/tablet. Check the speed of your data connection. For smooth, continuous video display you should at least have a 3G/UMTS connection, better yet: HSDPA. A GPRS connection is not sufficient. 18. I cannot click on/use the control displays on the camera. Not all DIGITUS® Plug&View camera models come with the so-called PTZ function. PTZ stands for “pan-tilt-zoom” and refers to the pan, tilt and zoom function of the camera. The control displays are only active on camera models with PTZ function, e.g. the OptiArc (DN-16038). 19. I see a backward-running time displayed on the video image and then the message “Relay mode is allowed to connect for 2 minutes”. What does this mean? Because of connectivity problems you are seeing a temporary, cached, video stream. For security reasons, this temporary buffer does not allow more than 2 minutes of video. As soon as a stable data connection has been re-established, you will once again see the live stream from the camera. For smooth, continuous video display you should at least have a 3G/UMTS connection, better yet: HSDPA. A GPRS connection is not sufficient. 20. The picture of my OptiArc is displayed upside down – how can I change it? Login with username “admin” and password “admin”. On the Home screen, to the right, under “Mirroring”, please select the setting “All” from the drop-down menu. This will rotate the camera image by 180°. Clicking on “save” will save this setting. 21. How can I make certain areas in the video image unrecognizable for data protection reasons? Yes, of course this is possible. You can cover private areas in the image with a colored block. A maximum of four areas can be cover with these colored blocks. You can find detailed instructions on how to activate the blocks in the chapter “Video Covering” in your User Manual. 22. Can I also use this system with my Apple MAC? Yes, of course you can. You can also use the Apple Safari browser to access your camera administration and the functions of the Plug&View cameras. 23. Is there a reset button to reset my camera to the factory defaults? 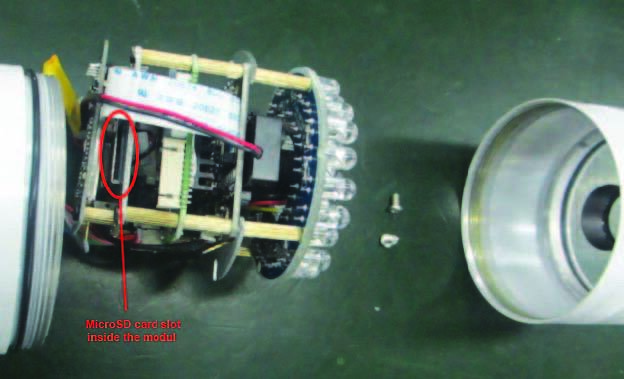 The indoor-cameras have an internal reset button, which can be triggered through a small hole in the casing with a paper clip. The location of this button varies from model to model. 24. How can I store data from the OptiMax DN-16037? 25. I don´t see any picture on login.mydigitus.net with my MAC? To solve this problem, please delete the cache of your browser as well as the cookies. After that the java components will be reloaded and after about 30 seconds you can see the picture again. 26. Is it possible to switch the Plug&View cameras on and off via App? The on and off of the Plug&View cameras via app is not possible. But if it’s important to you that your camera is not recording all the time, you can just use the “Motion Detection” function. This will start recording by any movement in your selected view area. In addition you can set the cameras with the camera management for records during certain times (both day and time). 27. Does the OptiArc camera (DN-16036) has a digital input and output? No, the OptiArc do not have a digital input and output. Don’t wonder that there is a small, green plug on the back of the camera, which could be provided for a digital output and input. You don’t need this plug to use your Plug&View OptiArc camera and it doesn’t limit your use of it any way. 28. Which bandwidth is required for using Plug & View? Please use the Plug & View system with a bandwidth of DSL 1,000 and from your mobile device from 3G. This ensures that you see a clear camera image and have a stable connection. If you want to use the NPAPI-Plug-Ins regularly, you have to take one more configuration step for Chrome Version 42 and higher. Developer and system admins, who are looking for to support Chrome users, should read this blog and the paragraph “Running Web Start applications outside of a browser” and “Additional Deployment Options”. 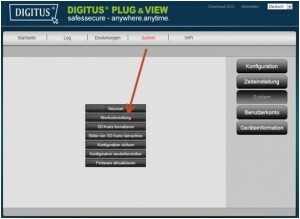 How to operate the firmware update on my DIGITUS ® Plug & View? 01. How do I perform a firmware update? It’s not as difficult as you might think. On the support pages for the different camera models we have created a guide on how to perform the firmware update. 02. The firmware update does not reach 100% and hangs. Please check your current firmware version and if the firmware update was run on Internet Explorer 8/9. Should you already be running IE 10, please download the update guide and follow the instructions. Firefox and Chrome are only supported from firmware-version “T”. If you are experiencing further issues, please contact our technical support at 0180-5-344001 (0.14 €/min). 03. After the firmware update the previous firmware version is still displayed in the Status window. Please verify if the firmware update completed 100%. Boot the camera by removing it from power for at least 7 seconds. Clear the browser cache and log in again. Should you still see the old firmware version displayed, please contact our technical support at 0180-5-344001 (0.14 €/min). 04. After the firmware update I still see the same web interface of the camera. Please clear the cache of your browser. In Internet Explorer 9 you can do this, for example, in “Internet Options” – “General” – “Delete”. Please remember to place a checkmark for “Temporary Internet Files” in the next window. After clicking on “Delete”, the cache will be cleared. Now, after refreshing the browser window, you should see the new web interface. You can also try to reboot the camera by disconnecting it from power for at least 7 seconds. Then close the browser (or the app) and then open the app again. Please log in again. Now the new web interface should be displayed. Is my personal data protected while using the DIGITUS® Plug&View system? 01. Does DIGITUS® have access to my personal footage? No. Your recordings are local on the camera’s memory card or as backup on your Google Drive or FTP-server. Only you have access to your Plug&View account and the camera, with your password – the same applies to your personal FTP-server or Google Drive. 02. Can DIGITUS® see my pictures and videos? No. Your camera is connected to your smartphone or tablet via the myDIGITUS® cloud server. The connection to the CloudServer takes place over a secure P2P (peer-to-peer) connection tunnel. This way, the video content can only be viewed by you and not by unauthorized persons.Your data is thereby protected. 03. Is my data safe, even when I retrieve it remotely? Your camera is connected to your smartphone or tablet via the myDIGITUS® cloud server. The connection to the CloudServer takes place over a secure P2P (peer-to-peer) connection tunnel. This way, the video content can only be viewed by you and not by unauthorized persons. Your data is thereby protected. If your question is still unanswered, so please contact our support. Thank you very much.